Prowler is the group term used to refer to the armoured personnel vehicles used by Epirian Contractors and security forces. Six or eight wheeled, the prowler is sturdy enough to clamber over rough terrain or suffer small arms fire, and its sealed compartments are large enough to house five to ten men. Prowlers are utilised for different functions, with some having an empty rear for transport of goods or men, whilst others have banks of computer interfaces to control drones or even act as a mobile command vehicle in battle. Prowlers are fitted with a drone rack allowing for rapid launch of airborne drones, and military vehicles sport a roof-mounted turret with a surface to air rocket battery or machine gun. 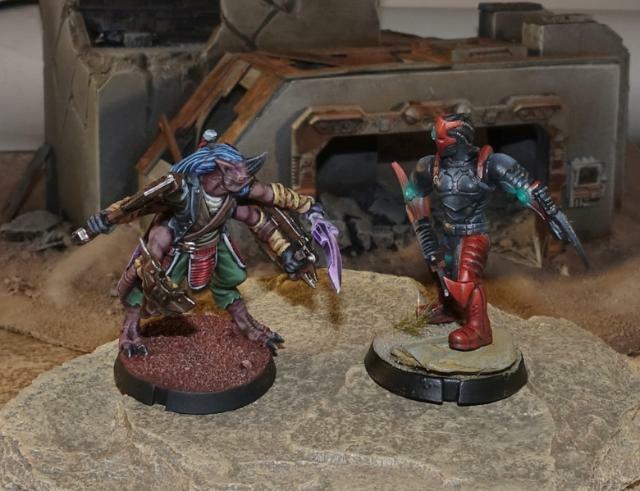 When the Battle For Zycanthus boxed set was released, we published some sample force rosters for the Karist and Epirian factions based on the models in the set, to help give new players an idea of what a Maelstrom's Edge force could look like. Since then, we have released a stack of new models and introduced a third faction, the Broken, to the game, so it seemed like a good idea to add some new force rosters to the sample collection. Below, you'll find three different sample force rosters for the Broken, and a breakdown of which models you would need to put them together. The two Chieftains for this list are built from the plastic set, which is why there are two Rabble units that only have 5 in the unit. 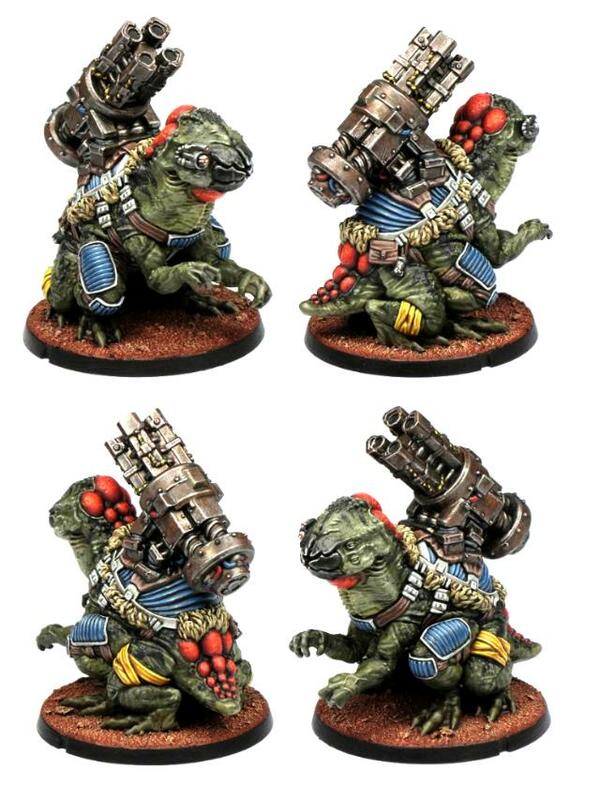 Note that for the above list, you could get to 119 points by dropping the Rabble Fire Support and including another two Gnolti instead! Hopefully the above force rosters will give you some idea of how to plan your force. 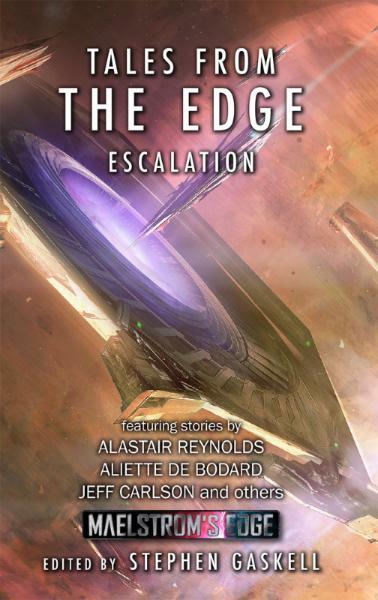 If you're looking for the force rosters for the Karist and Epirian factions, you can find them on the Maelstrom's Edge website here. 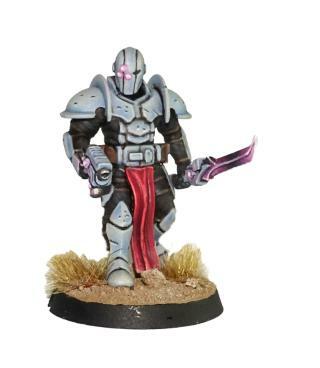 To assemble your own force, you can pick up the above models, and the rest of the Maelstrom's Edge model range, from the webstore here. 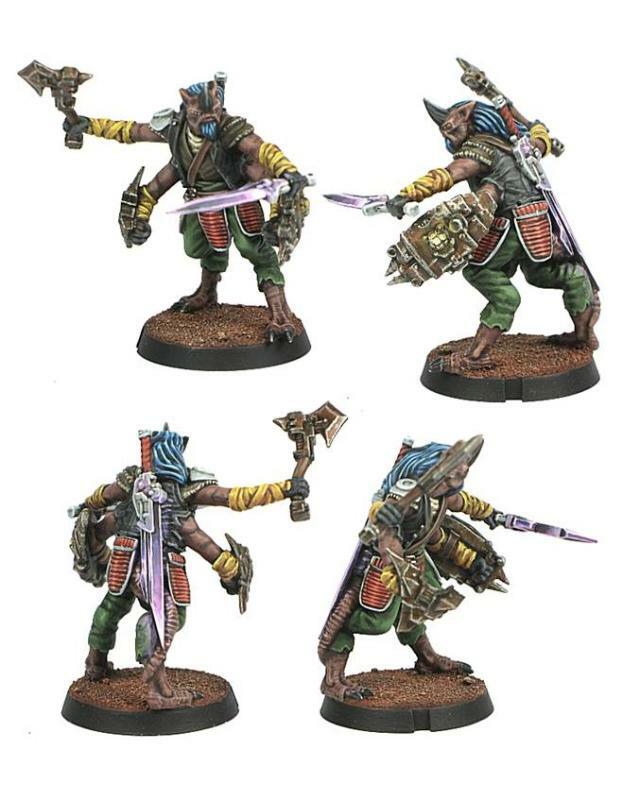 The Maelstrom's Edge Faction Expansion Sprue introduced a couple of cybel-powered edged weapons - the Cybel Blade and Cybel Glaive - to the Karist faction. 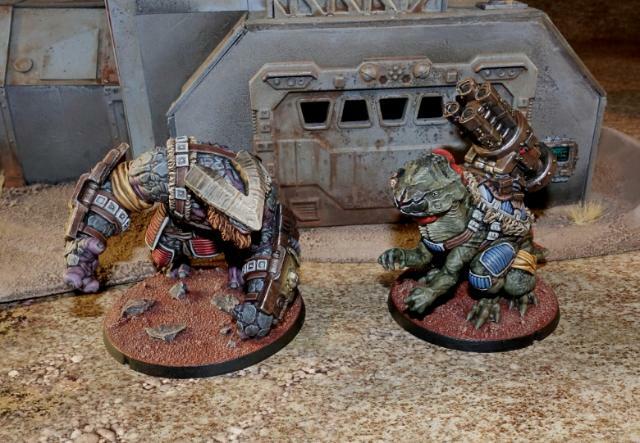 These weapons give the Karist troops a wonderful, savage look and add even more nasty, close-quarters options to their units. 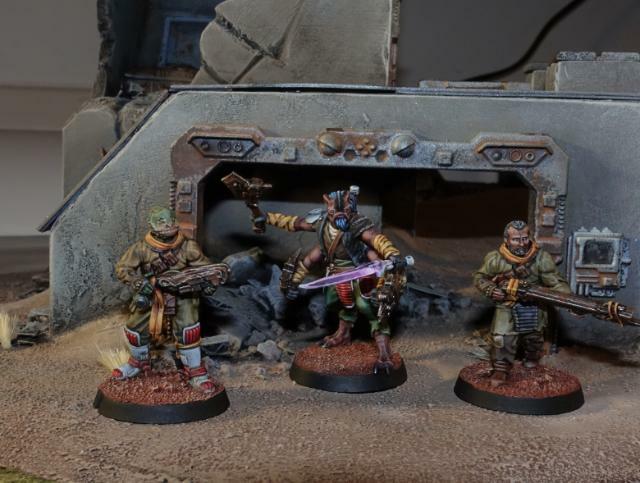 Painting these sorts of weapons is a great opportunity to add some eye-catching detail to your force, so I thought it might be useful to offer some suggestions on different ways to do so, to suit varying levels of painting prowess. There's no right or wrong way - you can feel free to use whatever technique suits your style, but the below ideas might give you a starting point if you're unsure of how to go about it. For each of the below methods, paint up the rest of the weapon however suits your force's colours, and then go to town on your blade! An easy one to kick things off. Start with a silver blade. Apply a wash of purple ink (I've used Army Painter Purple Tone). Let it dry, and you're done! Similar to the above, except that you start with a white blade. Apply a wash of purple ink, and let it dry. To lift it just a little, you can then use a fine detail brush and a little white paint to highlight the raised edges. Start with a silver or gunmetal blade. Apply purple ink to the back half of the blade, and let it dry. 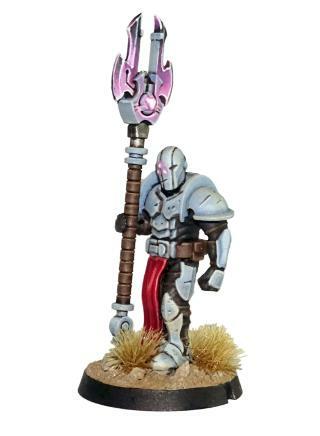 Blend the purple into the metal by lightly drybrushing with the same metal colour that you used on the blade. This will also pick out the raised edges. Start with a white blade. Using a fine detail brush, apply light coats of purple ink which each successive coat covering slightly less of the blade so that you build up a gradient of purple fading gradually to white . You don't want the ink to pool - the lighter you apply each coat, the better the end result will be. Work with the shape of the blade - you want the brightest (whitest) part of the blade on the curved part of the edge, so the purple builds up from that point towards the tip and the back end of the blade. On the top half of the blade this is reversed, so the darkest purple is on the inside of the curve, fading out to white on the ends. Once you've built up your colour to the level you want it, highlight the raised edges with a little white. And that's it - 4 different techniques for some very different results. You can vary these up some more by using different colours - I've gone with purple as that's the 'canon' colouring for cybel energy, but if you're using a different colour throughout your force (or looking to apply these techniques for a different miniature altogether) then you can easily substitute any colour ink. 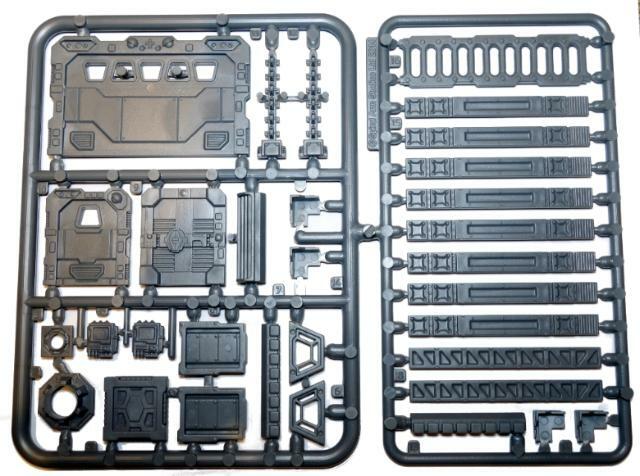 If you're feeling inspired, you can pick up the Expansion Sprue from the Maelstrom's Edge online store here, and make sure you share your efforts on the Comm Guild Facebook page (https://www.facebook.com/groups/MaelstromsEdge)! Although the existence of the xenos species called Angels was not completely unknown to the inhabitants of the spiral arm, only a handful of academics and long-standing spacefarers truly knew of them before the Karists began using Angels for their military and propaganda purposes. To everyone else, they were always simply a myth or legend bragged about by starship captains who had spent too many years traversing the void. Karists tout that these creatures are emissaries of of the Maelstrom, with their priests having helped coined the name 'Angels' to describe them. When Karist priests attempt to sway the populace of a world to their cause, they often mention Angels, or even utilize a live Angel as a demonstration. For how can creatures so powerful and strange, they argue, serve the will of the Karists if their cause were not just and true? In Karist military actions, Angel units are typically embedded into their existing forces, giving Karist commanders access to the many unique talents the Angels can provide. However, an entire force comprised of Angels is a powerfully intimidating site, doubly so to enemy troops who have never actually seen an Angel before. Therefore on occasion, full Angel detachments, led by an Angel Keeper are deployed. They are usually utilized as a terror-force, early in a planetary engagement before the enemy has any experience fighting against them. Angel detachments are particularly effective against fortifications, where the sheer terror caused by the Angels can cause enemy troops to flee without firing a shot, allowing the Karists to take an enemy strongpoint where it would have cost them hundreds of lives otherwise. The First Contact faction objective represents a number of new avenues for our game. 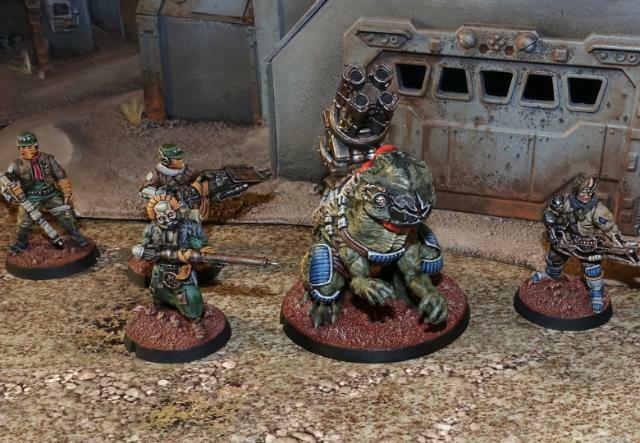 It is the first of several planned new faction objectives tied to particular models, helping to create different types of themed forces you can choose to utilize within the overarching umbrella of the existing forces. To this end, your force must include an Angel Keeper for you to be able to use the First Contact faction objetive. This objective may only be utilized if your force contains an Angel Keeper. If an objective type requires you to choose a force commander, it must be an Angel Keeper. 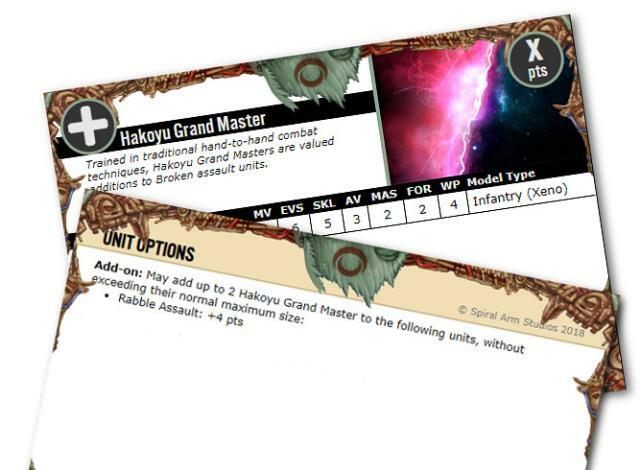 This objective can generate a maximum of 3 VPs per game, after which your units no longer benefit from the IrratIonal Fear ability. Partial: (conditional) Each time a non-fearless enemy unit fails any type of discipline check (even an automatic failure) while affected by the Fearsome ability of your Angel units, gain 1 VP. Irrational Fear: Friendly models with the angel designator gain the Fearsome (1) ability, or add +1 to their existing Fearsome ability. You can download a printable version of this card here. The existing basic faction objectives ('Secret Cache' for the Karists, 'Now You See Me' for the Broken and 'Automated Uplink Relay' for the Epirians) all work roughly the same way: they provide your forces an optional bonus, which you can choose to forgo each turn to instead gain +1 victory point. First Contact, on the other hand, provides your force with an automatic bonus: namely improving your Angel's 'Fearsome' ability, and successfully utilizing that bonus is what scores you the objective's victory points. Even better, this is the first faction objective where it is possible to earn the maximum 3 victory points in a single turn, even theoretically in the first turn of the game, which would definitely put your opponent on their back foot right out of the gate! But that raises the obvious question: how can First Contact possibly be balanced compared to the existing two faction objectives? The answer is that the other two objectives provide you with better situational control. When you need a victory point, you can generate one, but when you need the bonus provided by the objective, you can utilize that instead. With First Contact, once you've generated your 3 victory points from it, the bonus provided by it ends and you're stuck the rest of the game without it, even if you would have preferred to keep the bonus around longer in lieu of gaining all 3 victory points. In addition, generating victory points for First Contact ultimately relies upon your opponent failing discipline checks while within range of your Angels. Depending on how the game plays out and how crafty your opponent is, it is entirely possible for you to finish the game without earning some or even all of these victory points. Or in other words, this is the first faction objective where you have to rely upon your opponent doing something (failing discipline checks) in order to generate your victory points, which is inherently more risky. We would love for you to try out some games with both the Angel Keeper and First Contact rules and let us know what you think about them. 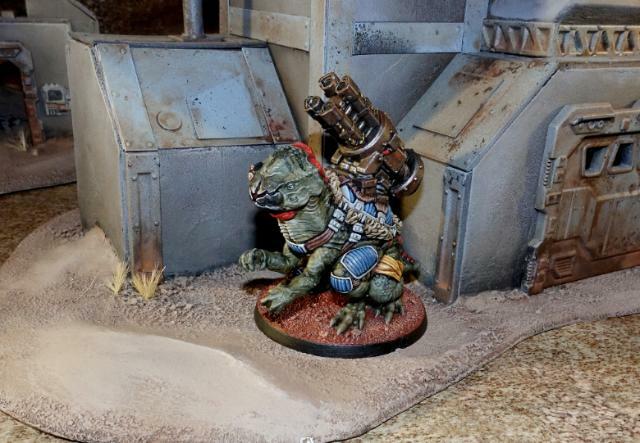 If you've got any feedback (with or without playing any games with the rules), please feel free to provide it either by replying to this article directly, or on our Comm-Guild Facebook group or in the Maelstrom's Edge forum on Dakka Dakka. You can flesh out your shape-shifting alien force by picking up an Angel Keeper and any of the different types of angels from the Maelstrom's Edge webstore here!